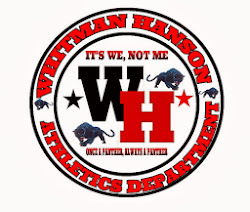 The Whitman Hanson girls' soccer team defeated Weymouth 5-0 in a non-league game. Whitman Hanson opened the scoring when Taylor Kofton finished off an Eve Montgomery cross. Lauren Bonavita doubled the score when she fired a 15yd blast past the Weymouth keeper. Bonavita added another when she faked the keeper and tucked the ball in to the lower corner. Up 3-0 at the half, Whitman Hanson kept up the pressure and got to 4-0 when Kofton fired a shot in the top corner for her second goal of the night. A few minutes later Bonavita completed the hat trick with a deep blast. The Panthers finish the season at 16-1-1.